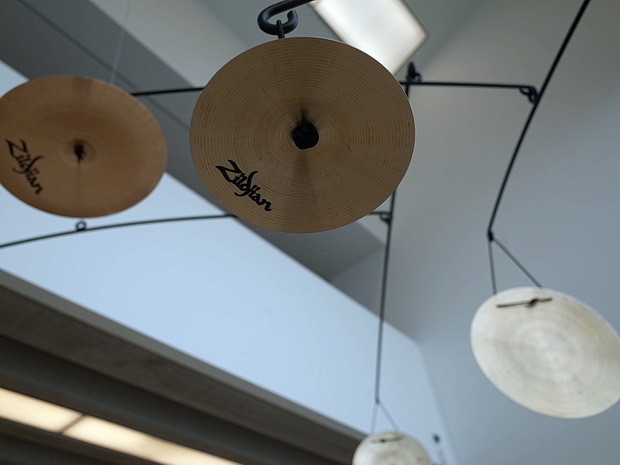 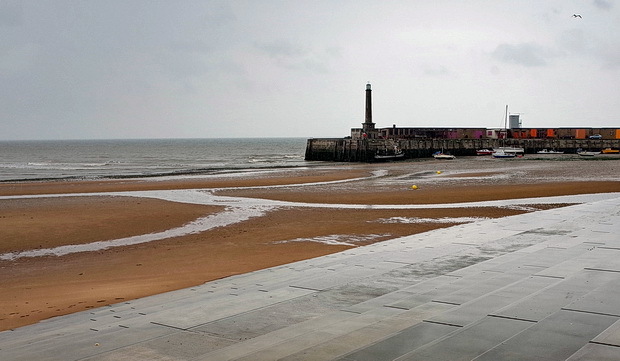 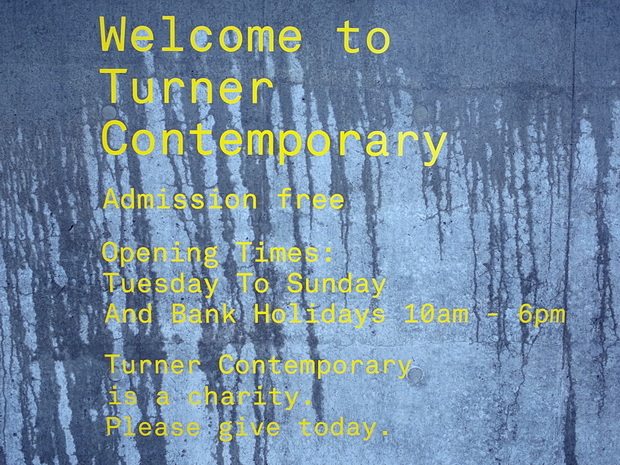 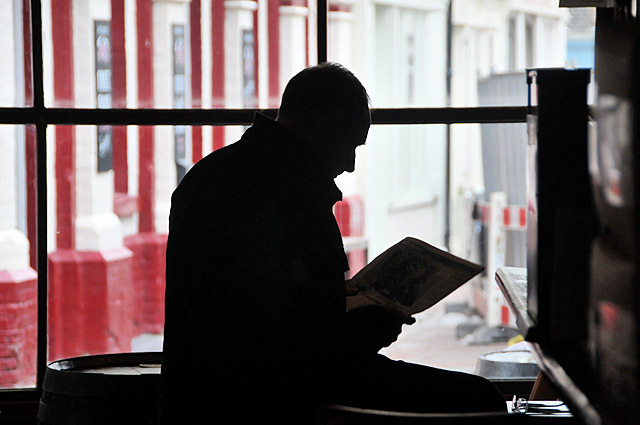 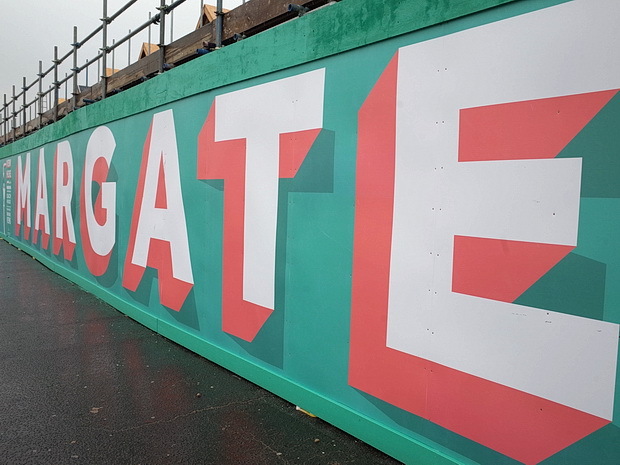 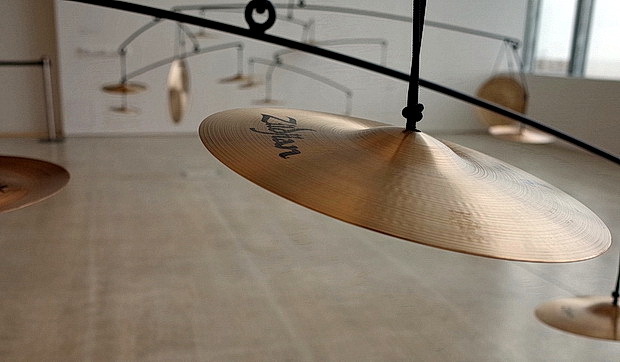 Margate has seen some lean times in recent years, but the arrival of the Turner Gallery in 2011 has kick-started regeneration, with a mass of new independent shops and businesses moving into the area. 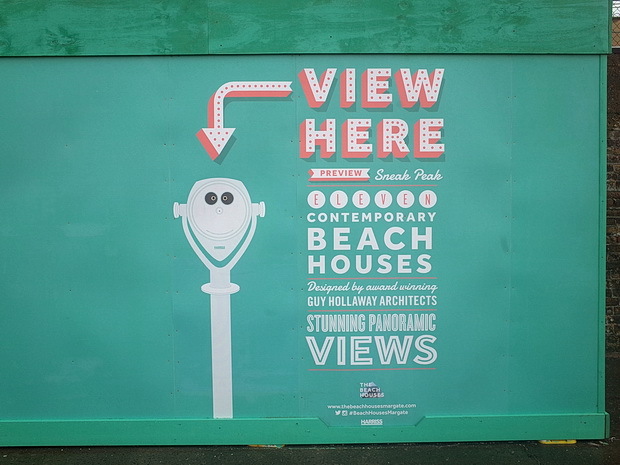 Inevitably, the luxury private developments are following, like these new ‘contemporary beach houses’ being constructed on the seafront. 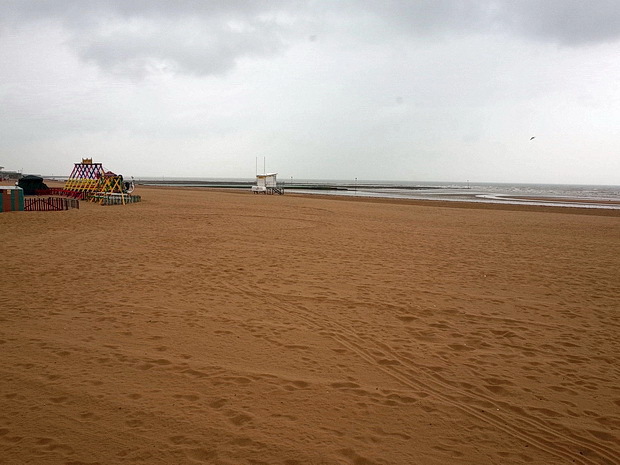 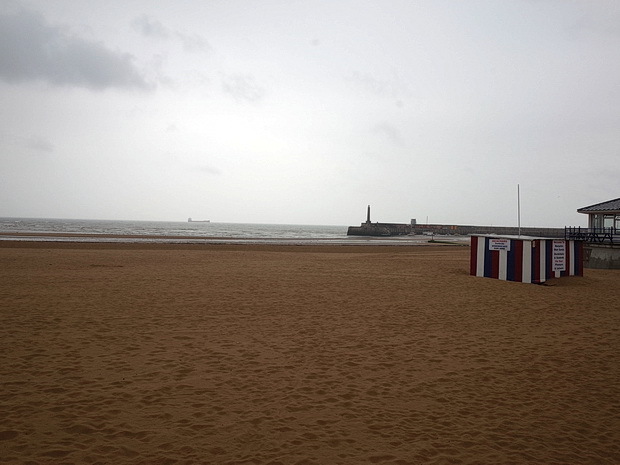 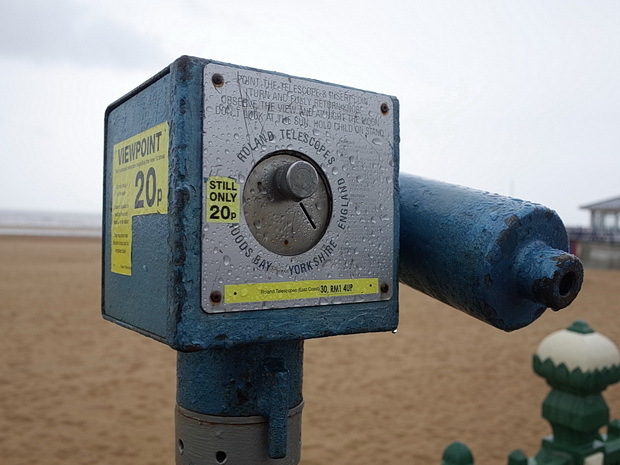 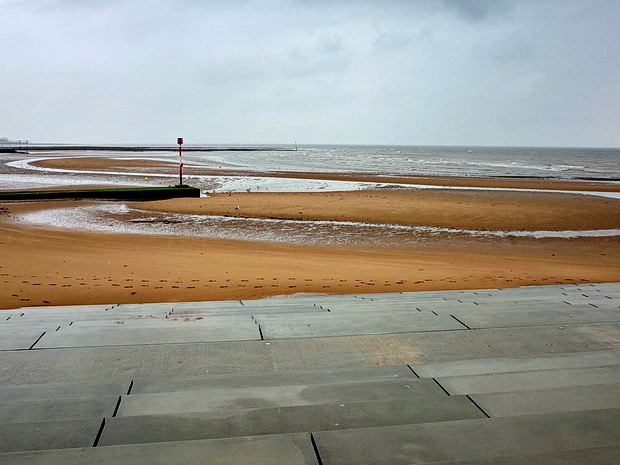 The beachfront was deserted in the driving May rain. 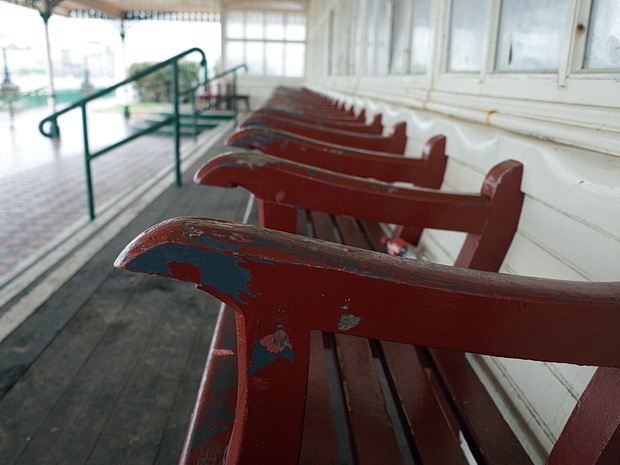 I love this old Victorian Nayland Rock Promenade Shelter. 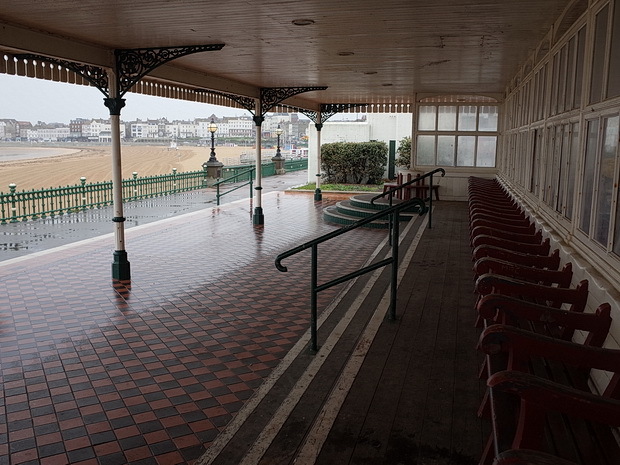 T. S. Eliot wrote some of his famous poem, The Wasteland, sat on this very bench. 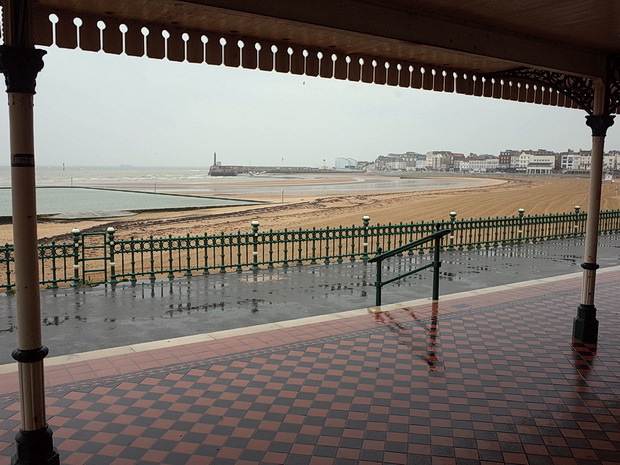 Looking across the rainy bay. 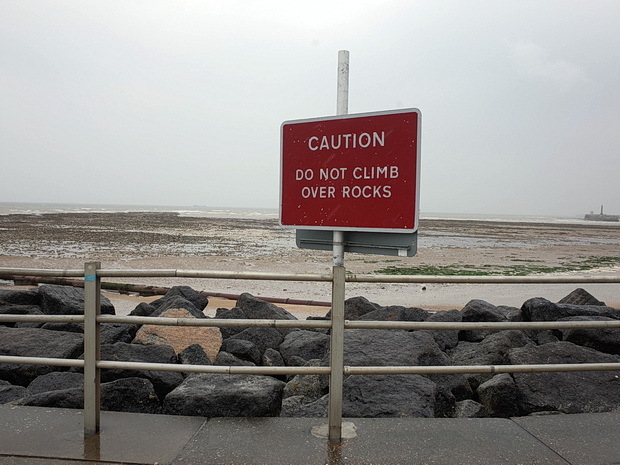 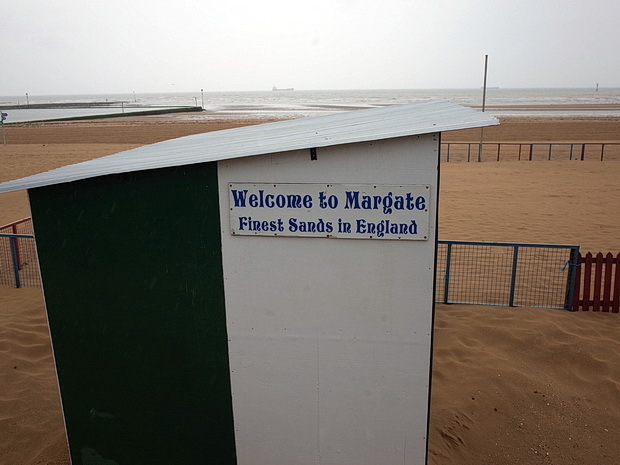 The ‘Finest Sands In England,’ it says. 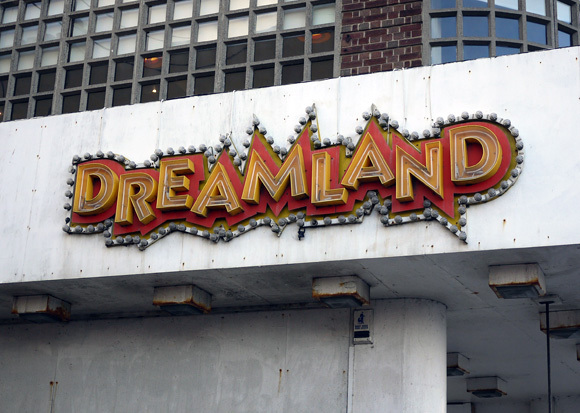 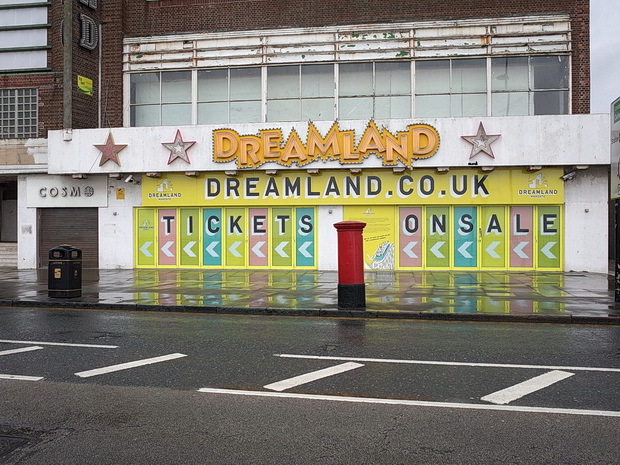 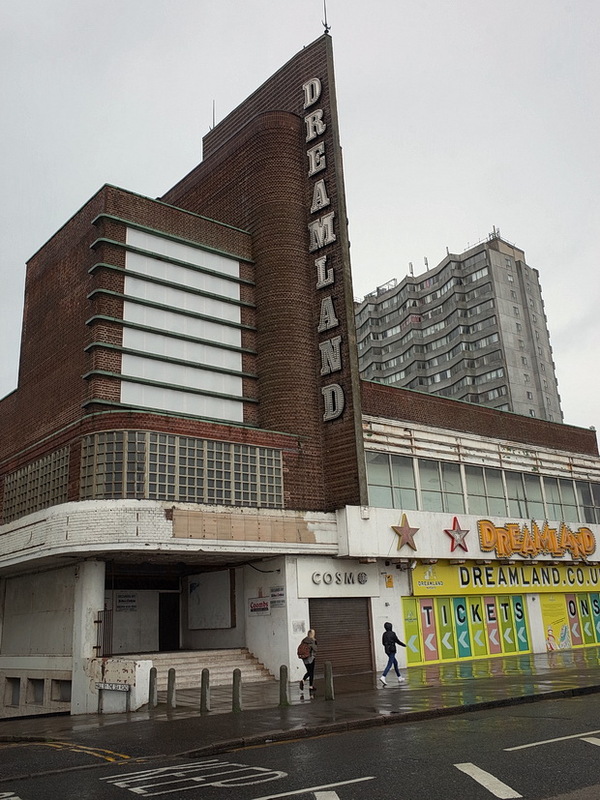 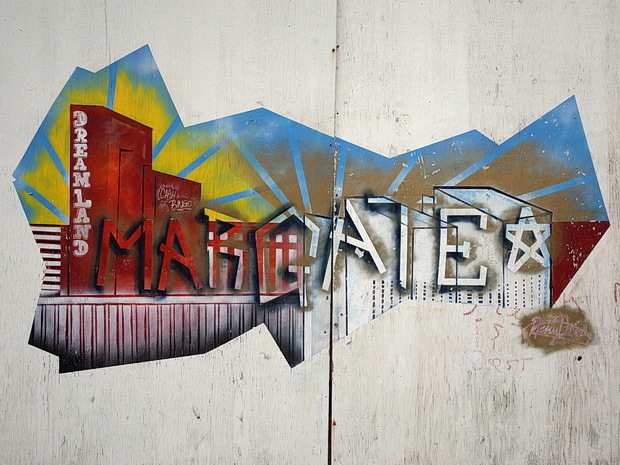 Margate’s ‘Pleasure Park’ Dreamland, closed since 2005, is scheduled to reopen on the 19th July 2015. 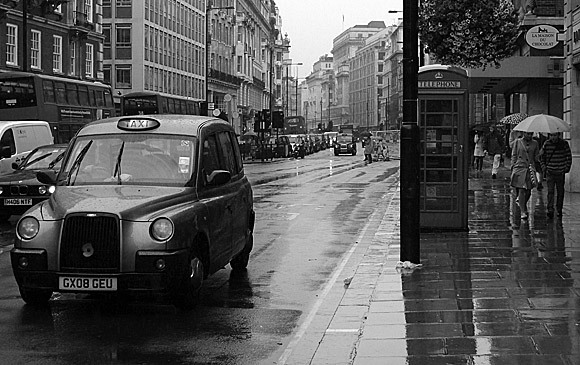 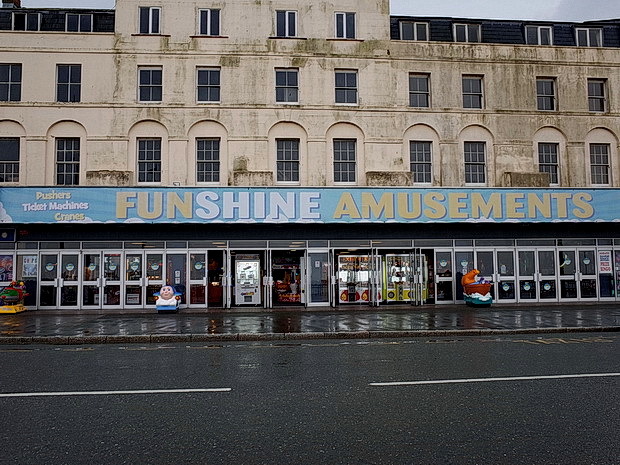 The sun wasn’t shining, and it didn’t look particularly amusing or fun. 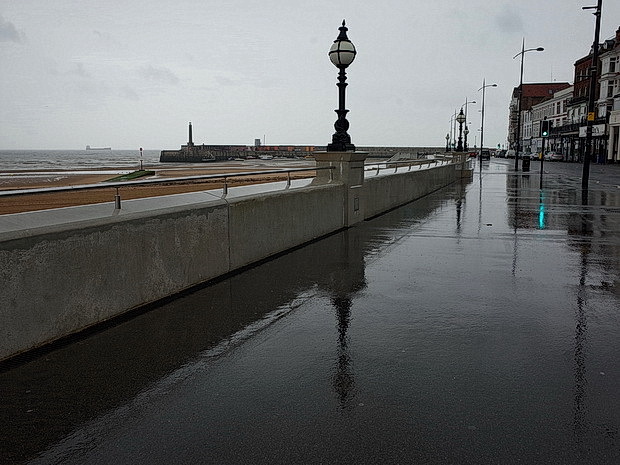 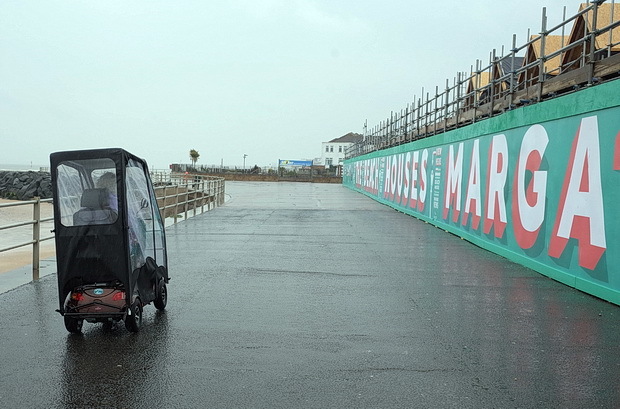 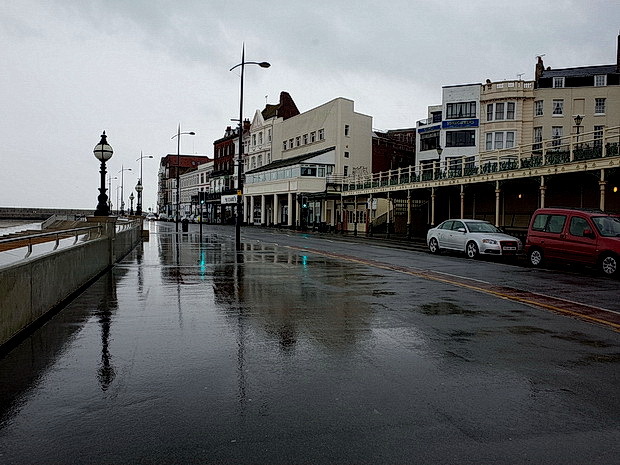 Seafront promenade in the rain. 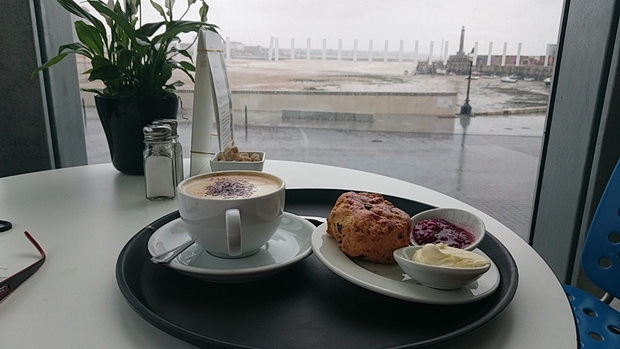 I finally got out of the rain and settled down for a delicious cream scone and coffee in the gallery cafe. 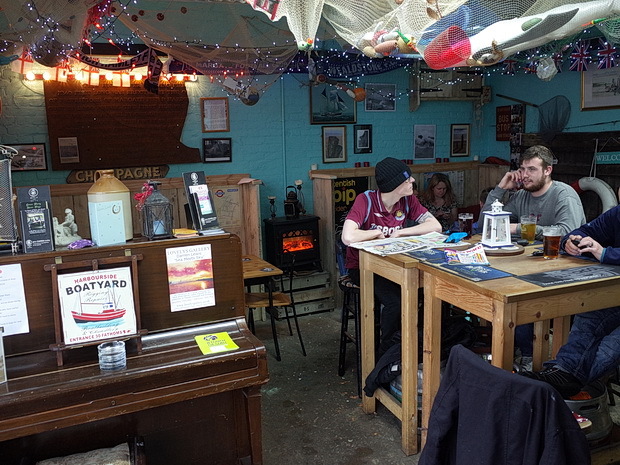 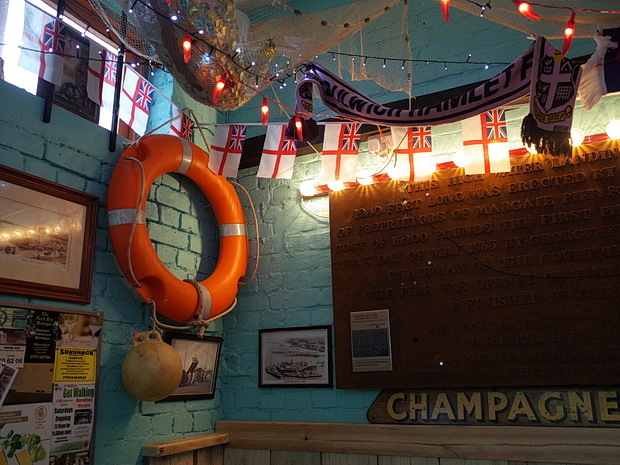 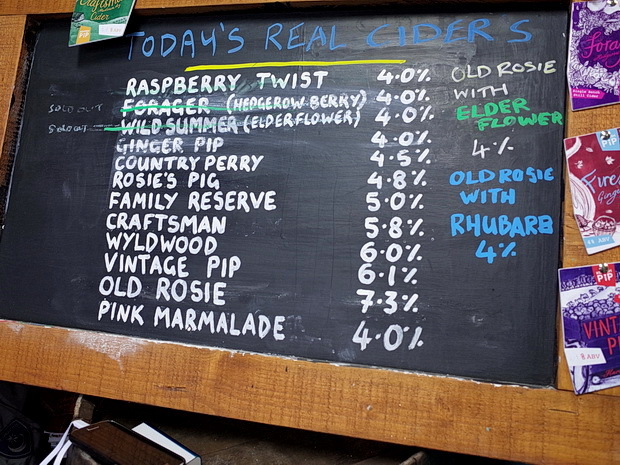 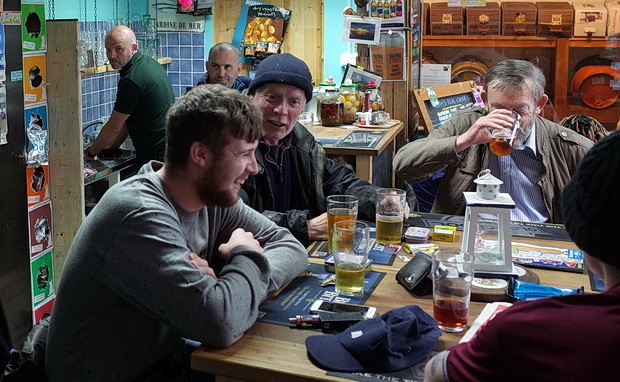 The next stop after the Turner was the wonderful Harbour Arms pub.